Moosejaw Detroit Shop Opens TODAY On Woodward! Shoppers are invited to Pewabic Pottery’s (Pewabic) National Historic Landmark building for a unique evening of shopping, celebration and charity as Copper & Clay: Pewabic’s New Leadership Initiative hosts its first Gift & Give holiday shopping benefit on Thursday, Nov. 29 from 6 p.m. to 9 p.m.
Browse ceramic art from more than 100 artists to find the perfect gift for family and friends all the while supporting Children’s Hospital of Michigan Foundation’s Healing Arts Program. Ten percent of the event’s sales will benefit the Healing Arts Program that allows young patients to brighten up hospital visits by exploring their creativity through art. Guests will also be treated to light fare from Avalon International Breads and Whole Foods, coffee and tea from Germack Coffee Roasting Co. and an assortment of beer and wine. The Gift & Give holiday shopping benefit is free and open to the public. The vision of Copper & Clay is to “engage, network, cultivate” with the goal of expanding membership among young adults. The committee is dedicated to growing Pewabic’s associate level membership for persons under age 35 by creating a rotation of events and cultivating the energy and passion of metro Detroit’s young professionals. Pewabic is a historic working pottery which is open to the public year round and offers classes, workshops and tours to children and adults. Pewabic creates giftware, pottery and architectural tile, showcases more than 80 ceramic artists in its galleries, and operates a museum store that features pottery and gift tile made on-site. Visitors are welcome, free of charge, Monday - Saturday from 10 a.m. to 6 p.m. and Sunday from noon to 4 p.m. To learn more about Pewabic Pottery call (313) 626-2000 or visit www.pewabic.org. 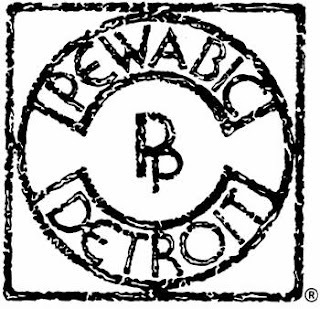 Pewabic Pottery is located at 10125 E. Jefferson Ave. in Detroit across the street from Waterworks Park.